Everything was great. Upon booking i don't expect much from this hotel but beyond amazed when we got there. 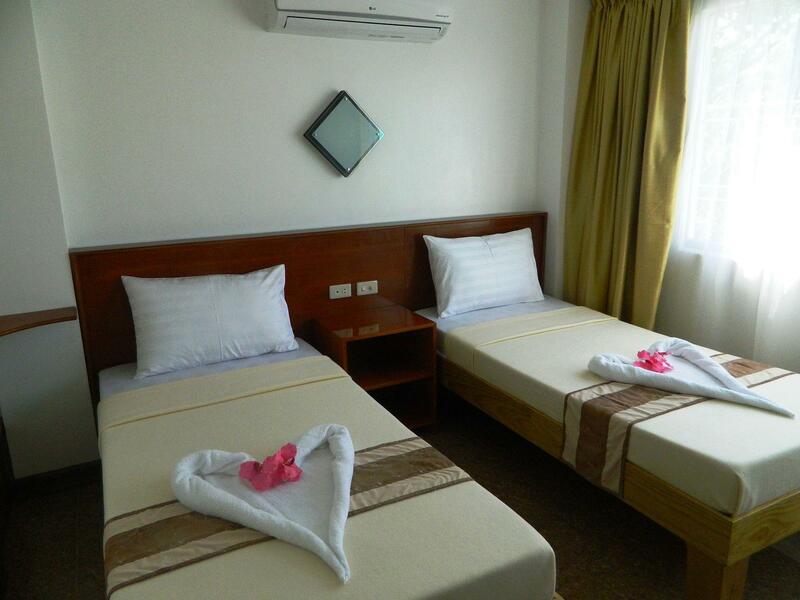 Room is spacious enough, cool AC, shower heater works perfect, wifi signal is okay, adequate and many choices of breakfast, room cleaning every day and hospitable staffs. Hotel is easy to locate and away from noise of the pubs so better sleep is guaranteed. Not beach front but we don't bother walking 2-3 mins going to the beach and D-mall. Overall, i highly recommend this hotel. We reached the place ahead of time for check in but staffs accomodated us. The place is clean and neat. Very easy to find. I do appreciate it when they came to our room and sung happy birthday song with cake, balloons, and flowers (requested by my brother Maverick) i do appreciate the effort exerted by Chel and her staffs... thabk you blue lotus hotel for a great Boracay experience with you!!! Friendly staff. Clean hotel, WiFi working. Breakfast is okay. Took us 5 mins or more to get into the beach. Overall, I will still recommend if you’re traveling on a budget. Our bedsheets weren't changed. They said that we should have asked them coz the cleaning service is until 4pm. Toiletries were not enough. There were no cotton buds, shaver, and shower caps. I'm surpriced to read so many bad reviews about this place. 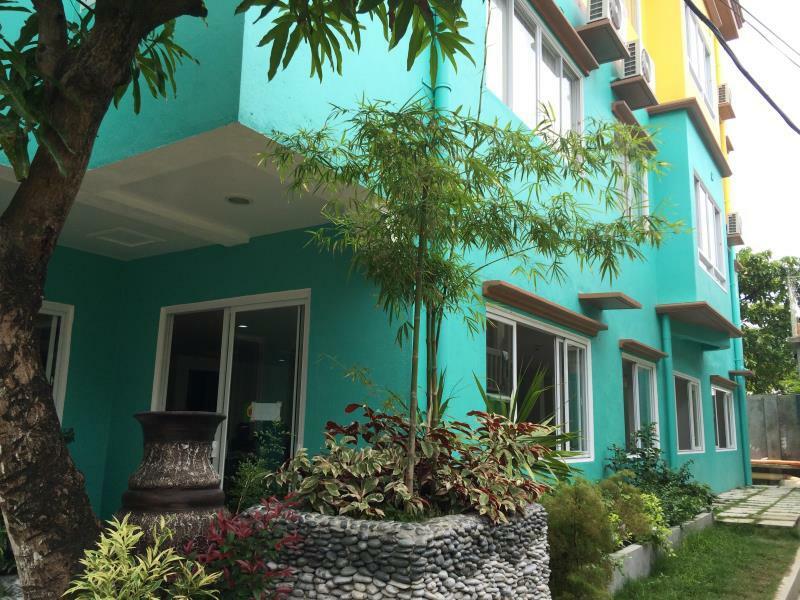 During my 2 week stay in Boracay it was by far the best hotel I stayed around 30€ price class and I stayed in several hotels. Very good value for it's price. Hotel and room look fresh and clean. Room was quite big with plenty of furniture and a fridge. Room was cleaned every day. Very good location: 3 min to the beach and the central station 2 area. I have nothing negative to say about this place. The breakfast was only until 9 AM and sometimes I could not go so early. I wish I could stay there longer but no rooms were left. Super friendly staff, they booked us in our Island Hopping they also have their breakfast included. no elevator but manageable for us to go up, i'm worried if there's pwd or old persons if they we're book in 3rd floor. but overall Good to stay here recommended. The room is not that bad but our supposed check-in is 2pm and we arrived at 2:30pm but we still waited for an hour in the reception since they’ve just prepared the room upon our arrival. 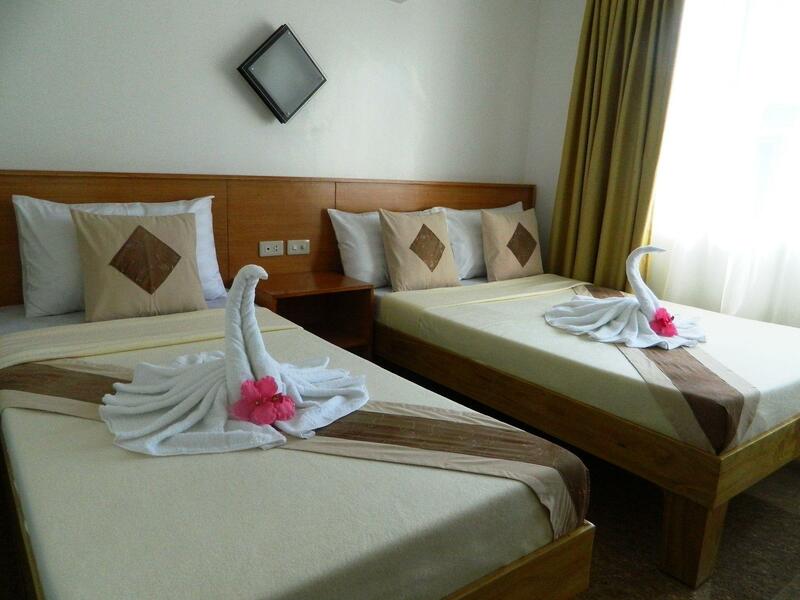 This hotel is located away from White Beach near Station 2. There is no elevator and it was tiring walking up four floors to our hotel room every time we left the room for morning, afternoon and evening activities. 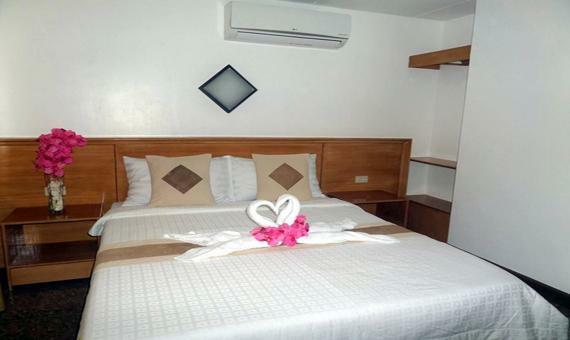 The value for money was excellent, but we will stay closer to the beach activities on our next trip to Borocay. The place was in a good location however wifi was poor on the third floor (where we stayed) and the place smelt terrible. We were there over new years and was told that they had no more clean towels for us to shower.... I only found this out after going to the front desk repetitively as the first few times they just tell me, yes it will be delivered to your room (but nothing came for the next 1-2hours and only until we asked him a few more times more sternly, they said they have run out of towels). It isn't acceptable for them to not inform us when we asked the first time as we were all waiting in the room to shower. It is understandable that they have run out of towels on New Years and we were not unreasonable (note at this point our rooms had not been cleaned either but because it was New Years it was understandable). After this, we were forced to check out earlier and pay for a resort as the terrible smell, poor wifi and unhelpful staff just wasn't cutting it. I like the area as it is near the main road, very accessible as it is in the middle of the Island, a few minutes walk away to the front beach and the back beach. However, it needs improvement on the blanket as it is too thin while the AC air flow is directly facing the bed. Check in time took a while, but check out was fast. Bed was not made after the first night, which is just fine if i was asked or if there was a "do not disturb" sign. great place to stay, only problem was that there was a rooster near by who woke us up every morning, so we had to pay 300 pesos to get it cooked for us, problem solved. There were many good things about this hotel that we enjoyed, it's new and clean We were early for breakfast one morning and the man at the front desk did get us some breakfast anyway, which we didn't expect but greatly appreciated. There was one issue we had which is beyond the hotels control. The next door neighbours have chickens that can be loud at all hours of the night. We are not light sleepers but found it challenging to get a good night sleep as a result. Clean, free breakfast, friendly staff. For a two star establishment, I was suprised at how clean the hotel was and loved the modern contemporary design. The staff was friendly, breakfast was fresh, and the location was close d'mall. If your looking for an affordable two start, I would highly recommend. 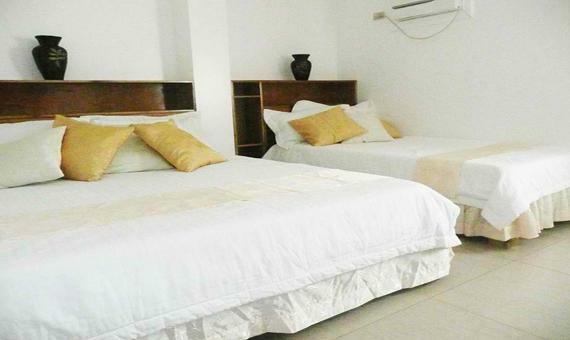 The hotel is at the main road, close to D'mall (10 mins walking) and other shops too. A bit far from the beach compared to the beachfront hotels but still manageable. We only stayed for 2 nights, the room was huge but the cleanliness is so-so. However the wifi is excellent; the breakfast is good too. 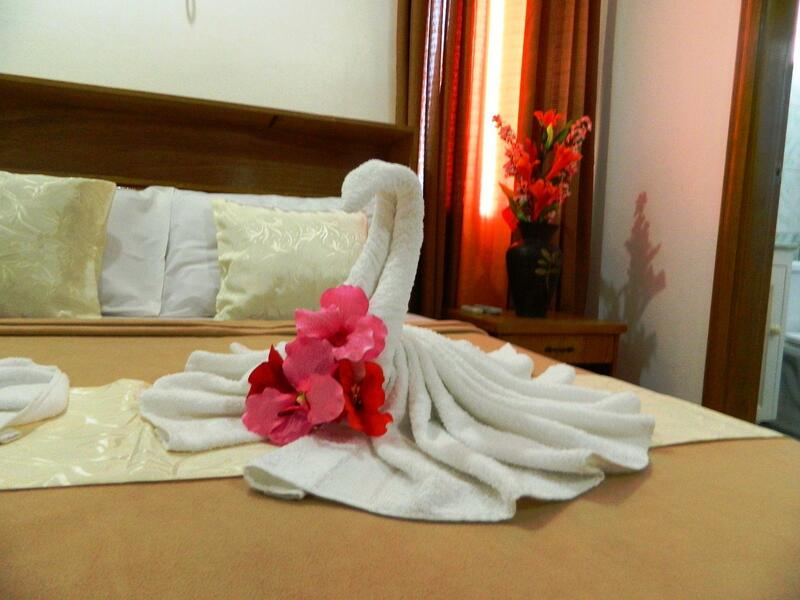 It is cheap compared to other hotels especially during the peak season.